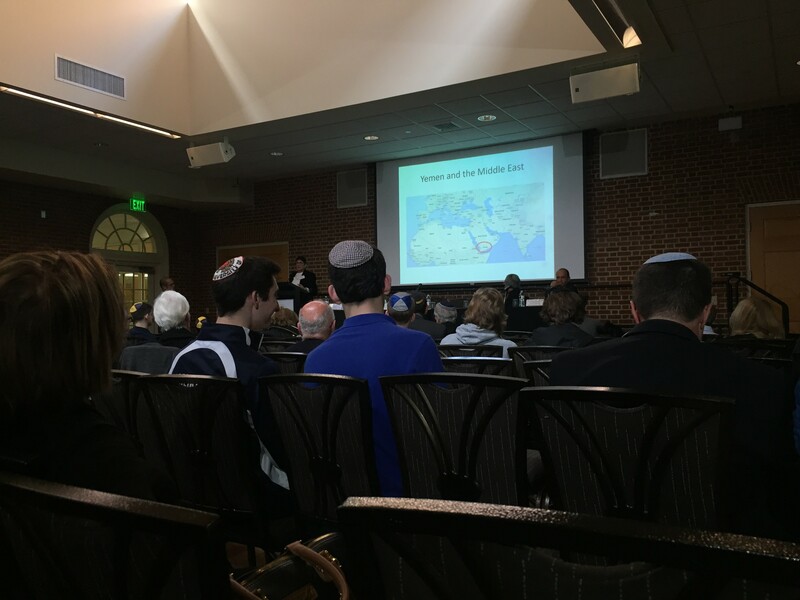 “The Ancient Jewish Community of Yemen and its Emigration” was just one of the lectures that was given at the End of Jewish Communal Life in the Arab Lands International Conference Tuesday. The conference, held in Prince George’s Room in the Adele H. Stamp Student Union, attracted a diverse crowd of students, staff, and interested off-campus visitors. The conference contained three sessions, all of which featured different chairpersons and lecturers. The first session of the conference began with a performance by Kol Sasson, one of this university’s Jewish a cappella groups, and a single guest lecture by Noam Stillman from the University of Oklahoma. “My favorite part so far was just the discussion about the movement of the people from Morocco out of the country and the change that came with the end of colonialism,” Linda Recht said after watching the first session. A flyer for the conference was on display outside of Prince George’s room on the day of the event. Kaitlyn Hopkins/Mitzpeh. Ezra Suldan, a senior at Beth Tfiloh High School in Baltimore, learned about the event because it supported his classes. The second session, which started immediately after a 45 minute lunch break, was the longest session, containing four lectures and discussions over the span of two and a half hours. The chair of the second session—Professor Hayim Lapin—introduced the lecturers . The Ancient Community of Yemen and its Emigration lecture opened the session. Bat-Zion Eraqi Klorman, a professor at the Open University of Israel and Ben Zvi Institute, gave the lecture. In it, she discussed the process of Jewish emigration from Yemen during the time period from the late nineteenth century to the mid-twentieth century. Attendants of the conference enjoyed socializing during a lunch break before the second session began. Kaitlyn Hopkins/Mitzpeh. During her 30 minute speech, Klorman flipped through a simple slideshow, showing her audience pictures of the ancient community. In her lecture, she explained that the future of Jewish immigration was changed during the post-Ottoman era when Britain became the ruling power in Palestine. Klorman explained that there were three main factors that affected Jewish immigration: the Yemen ruler Imam Yahya’s attitude toward Jewish immigration, British-imposed restrictions of Jewish immigration to Palestine, and the number of permits allocated to Yemeni Jews by the World Zionist Organization. Klorman ended her speech by talking about immigration to Israel. “The establishment of the State of Israel in 1948 removed the main obstacle, that of British opposition to Jewish immigration,” Klorman said. Speaker Bat-Zion Eraqi Klorman shows the audience a map during her lecture. Kaitlyn Hopkins/Mitzpeh. The third session also contained four lectures, including one by Professor Shay Hazkani. The last session concluded with a lecture by Dr. Carol Basri of Fordham University about the Jewish property and artifacts left in Arab lands. 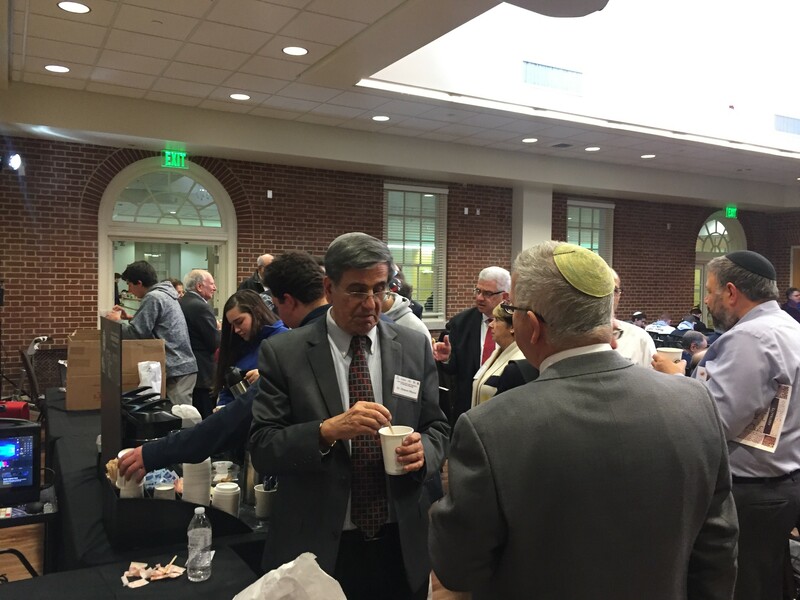 The conference activities continued Tuesday morning with a two hour guided tour of the Iraqi Jewish Archive at National Archives in College Park. 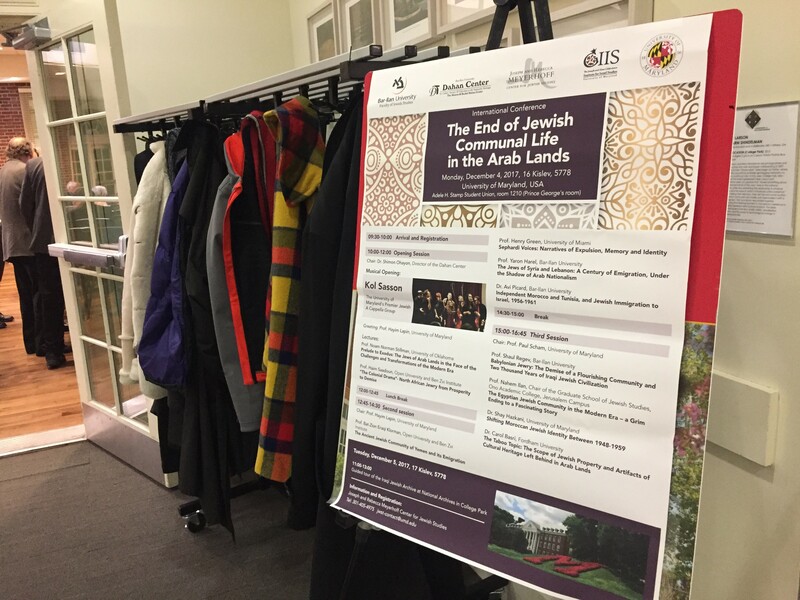 No Replies to "International conference educates audience about end of Jewish life in Arab lands"